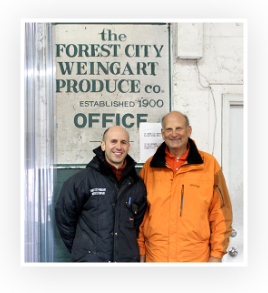 The Weingarts have been selling fresh fruits and vegetables to Northeast Ohio for over a century. Ashley Weingart joined her family’s fourth generation wholesale produce business in 2015 as Director of Communications & Community Outreach. Her goal, in part, was to get healthy food into the hands of people in need living in the food deserts that surrounded Forest City Weingart Produce (FCWP) and the Cleveland Produce Terminal. In her travels, she quickly took notice of the amount of perfectly fresh produce being wasted at every step of our food’s journey from seed to spoon; much of it due to growers’ and supermarkets' expectation of consumers’ desire for perfection. 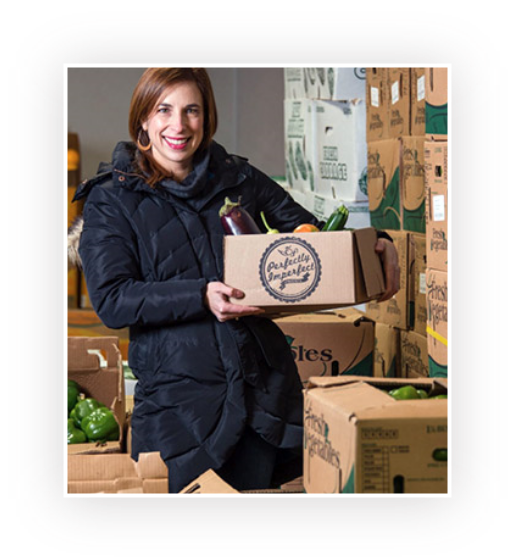 A light bulb turned on and she went to her husband Andy, President of FCWP, with an idea for boxing up such produce to reduce waste and help people eat healthier, all while donating more food to the hungry. 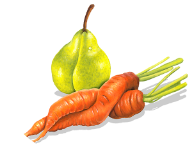 Perfectly Imperfect Produce was born as a program of FCWP in May of 2016. 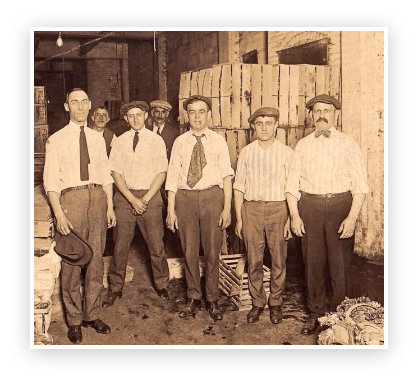 Back then, Ashley and Andy would pack up the weekly orders on their own. Soon, local and national media like Cooking Light magazine and Huffington Post started calling,wanting to know more about the country’s first program of its kind to be run by a wholesaler. Perfectly Imperfect Produce soon outgrew the walls of Forest City Weingart. In the spring of 2017 Ashley separated the program into its own business entity, From Seed to Spoon, LLC and moved the operation down the road a bit where she manages it out of Produce Packaging, Inc, who graciously took her under their wing and allowed her to rent space. Perfectly Imperfect Produce has grown exponentially since its early days just a couple of years ago. With the support of hundreds of Ohioans who agree we should never judge a book by its cover, Perfectly Imperfect is thrilled to be fulfilling Ashley’s original vision to reduce food waste and improve healthy food access for all. 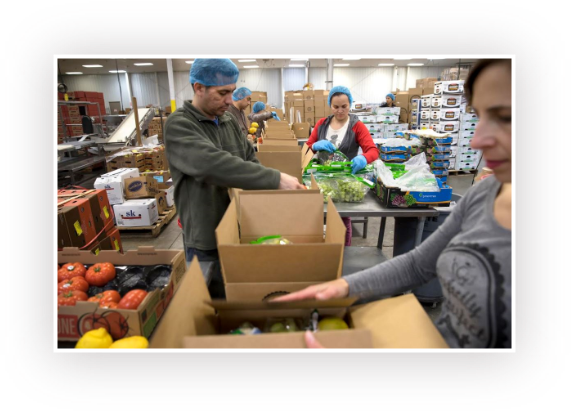 So far, together, we have rescued hundreds of thousands of pounds of food and through our weekly donations to the Hunger Network of Greater Cleveland, have fed tens of thousands of people in need. We have come very far, but it’s really just the tip of the iceberg.